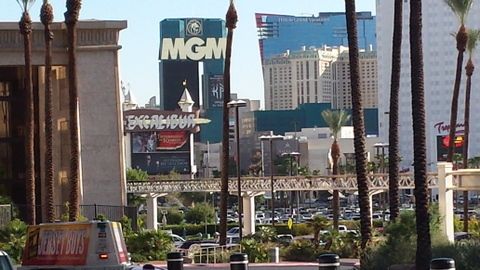 Vegas- in all its glory! It’s hard to believe this Allergic Traveler has already been home from Vegas for almost a month now. Where does time go? I do want to share with you my travel adventures as every time I travel I learn a little something about the area and something about myself. By no means was this my first time traveling to Las Vegas. We stayed at the Luxor, which was fun and grandiose. The hotel has a theater, a food court, shopping and Starbucks. You may not know it, but this is my fuel to survive this crazy city. I traveled with a friend who had never been there before. It was fun to see it through her eyes. I warned her that it is not nicknamed, “the City that never sleeps,” for no reason. Thank you Starbucks for getting me through the days while I was there. We did all the touristy things. We saw the light show at the Bellagio that has dancing water fountains orchestrated to Michael Jackson. We took in a show, Menopause the musical. I highly recommend it. I laughed so hard, I hurt myself. Naturally, no trip is complete without a shopping spree. We headed over to Cesar’s Palace where we saw the latest fashion trends in the high-end boutiques. When it came to meals, I was well prepared. I had packed enough muffins for each of my breakfasts. Lunch was usually on the go, so I would snack on whatever food I brought. Now dinner was a luxury. The thing about eating in a big city with food allergies is it’s a lot easier than small towns. 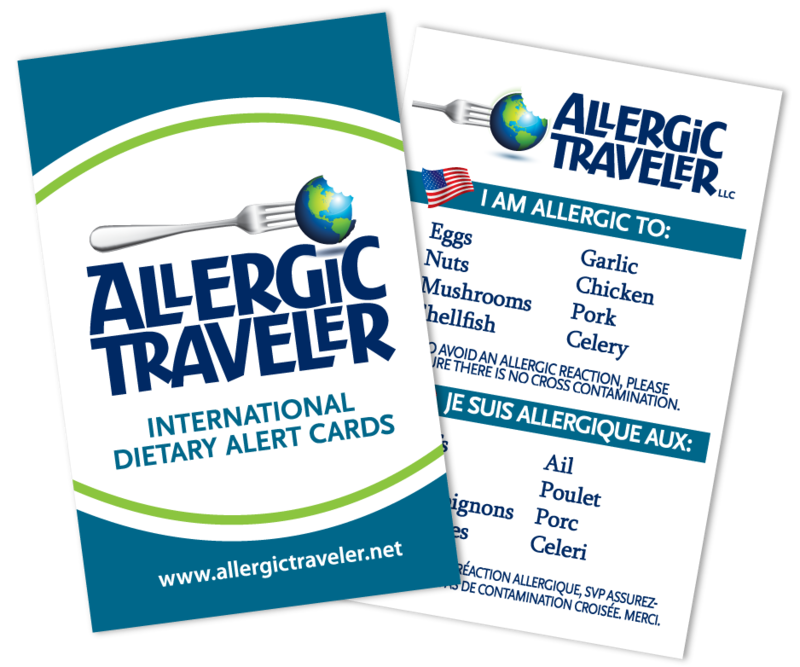 All the restaurants have trained chefs that do not panic when they see an Allergic Traveler card. 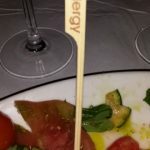 They are completely accustomed to handling any type of dietary restrictions. 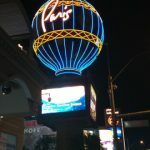 My experience at Mon Ami Gabi, at the Paris hotel was spectacular. I had more food than I could handle. Anything that I was unable to eat, they altered to my restrictions. I had a pureed cauliflower dish (I know it sounds boring) but it was so decadent! 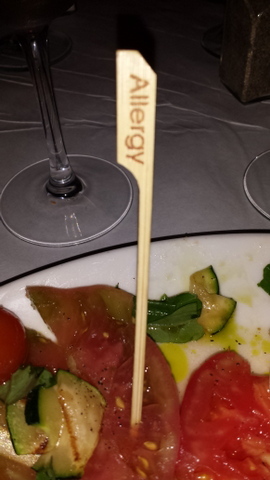 The food even came out with a little flag that said “allergy” (see photo below). Another night we went to a steak house in the Aria hotel, called Jean Georges. I had an exquisite salad, I know it just salad but it was divine. Of course I also had steak. I had the filet mignon. It was not pre-marinated in garlic, soy, or sesame. This was a definite win for me. 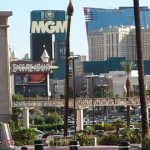 If you are an adult with food allergies, Vegas is always a safe bet. Now if you are a child with food allergies, you will be able to eat but I would question what you would do there! 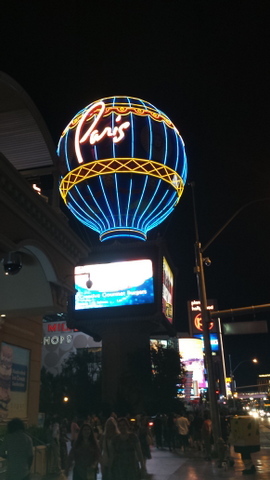 Have you been to Vegas? What was your experience like?